We knew Samsung was working on a smartphone that sits right between the Galaxy Grand and the Galaxy Grand 2, but it was a mystery what exactly it will be. Now we know virtually all there is to know of the upcoming addition to the Galaxy Grand series, thanks to a leaked internal document that we got hold off. Samsung Galaxy Grand Neo will come with a 5-inch TFT display with a resolution of 800 x 480 pixels. Under the hood, there is a 1.2 GHz quad-core A7 chipset powering the smartphone along with 1 GB of RAM. The 5 megapixel rear camera with LED flash and the front facing VGA shooter completes the camera department, while the 8GB internal memory along with the microSD card slot takes care of storage. The connectivity options of the Samsung Galaxy Grand Neo include Bluetooth 4.0, HSPA+ (21Mbps down, 5.76Mbps up), WiFi 802.11 b/g/n, Wi-Fi Direct, micro USB, GPS and GLONASS support. However, there is no LTE or Wi-Fi ac radios built-in. 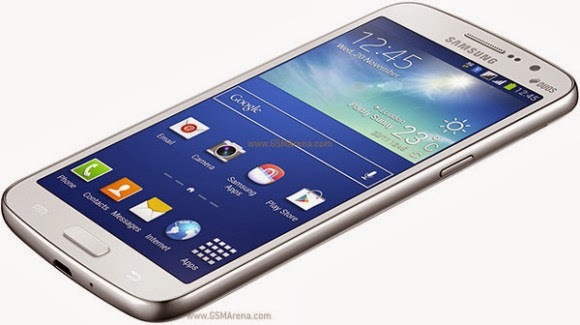 Samsung Galaxy Grand Neo has a design, which is quite similar to its predecessor and the device measures 143.7 x 77.1 x 9.6mm. The Neo will be powered by Android 4.2 Jelly Bean OS and will feature the TouchWiz customizations on top of it. Lastly, a 2,100mAh battery will provide the required juice for the smartphone. The smartphone will cost €299 after tax in Europe and while we have no info on its availability, it can't take too long now that the sales materials are ready. We also know that the smartphone will be available in multiple color options.